Like many other writers Maria has several book and short story projects bubbling away in her cauldron – this blog has, after all, been renamed to reflect the fact that storytelling is inevitable when people gather around blazing fires and hearths. Here’s hoping her cauldron contains something warming and stimulating for the senses! 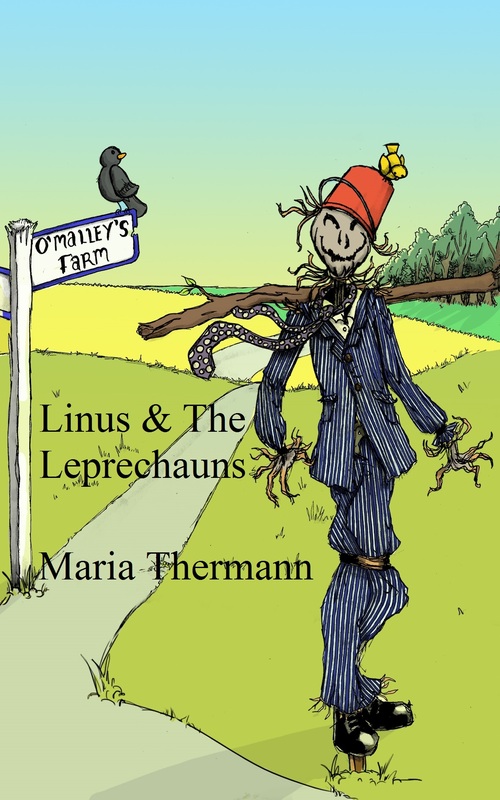 Watch out for the follow-up novel “Linus & The Blarney Stone”, soon to be published as an ebook. Just think, for a parent-pleasing price of $3.49 kids can go to bed with a big, big smile on their faces, and so could Mums and Dads, Grannies and Granddads – It’s perfect bedtime reading for all ages and especially pleasing to all those who appreciate farting jokes! 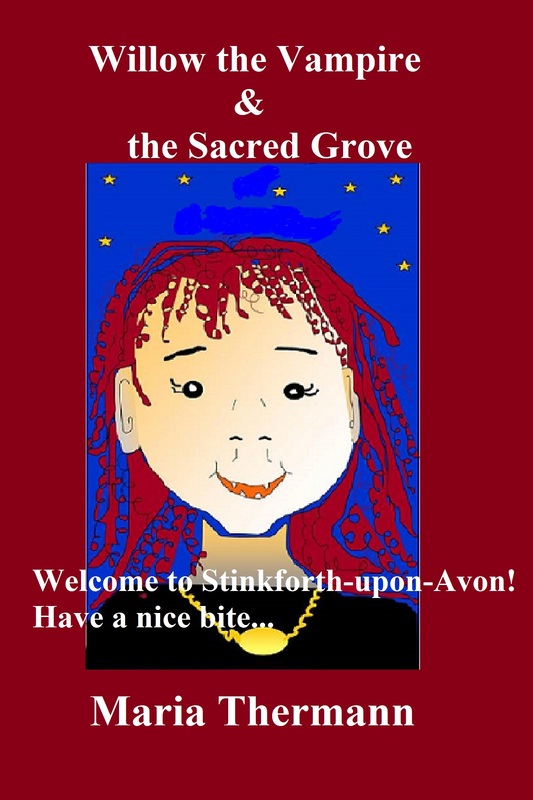 Willow the Vampire & the Sacred Grove welcomes you to rural Stinkforth-upon-Avon. A coming of age story with plenty of bite! Meet 11-year-old Willow and her friends. They save the world (a lot), when they’re not too busy eating muffins and doing away with a few villains! Suitable for readers aged 8+. and lots of other outlets. Maria Thermann’s novella is a traditional Victorian ghost story, with a spoonful of romance thrown in for good measure. Set towards the end of the 19th century in the fictional county of Oxtailshire, the novella takes a humerous look at the genre and hopes to entertain, rather than scare readers. Furious about his son’s choice of wife and occupation, Sir Hubert Tulking, life-long enthusiastic hunter of foxes, decides to take drastic measures, when his son Allan returns to England to introduce his American actress wife to the county set. The brazen fortune seeker must die! Just one minor problem: Sir Hubert isn’t exactly in a position to wring the lady’s neck…for he himself died a year ago in a riding accident. How can a ghost exact vengeance? Sir Hubert leaves no stone – or ancient book – unturned to find an answer! Whatever happens, rest assured, the foxes will have the upper paw in the end – for those who call causing the suffering of animals “sport” deserve all they get! 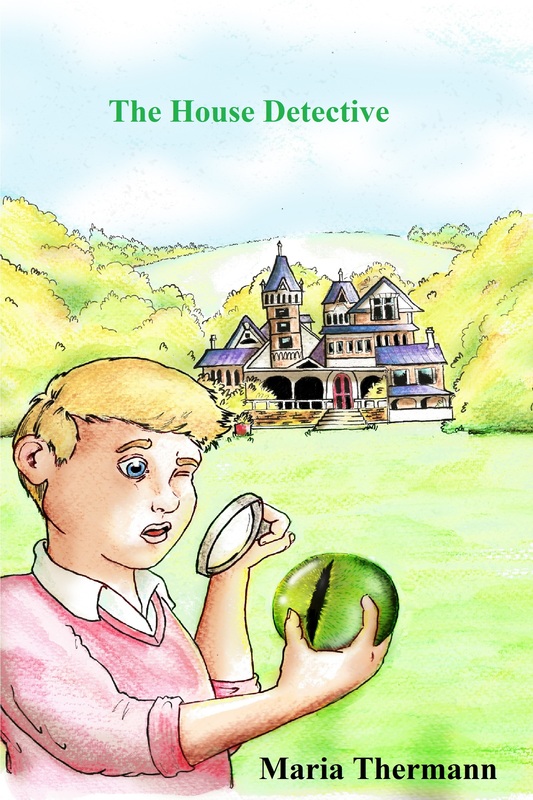 Still work in progress but eagerly awaited by all: The House Detective! Ever wondered what to do when houses refuse to stay where their owners want them to be? You sent a house detective after it, of course. Enter Stevie and the mysterious Hamish Fensterlein, hot on the trail of a hideous Victorian mansion that has as many secrets as it has turrets.